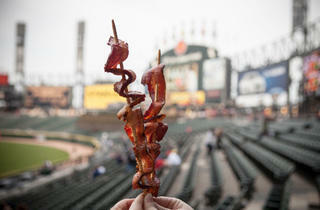 Photograph: Martha Williams Bacon on a stick at U.S. Cellular Field. 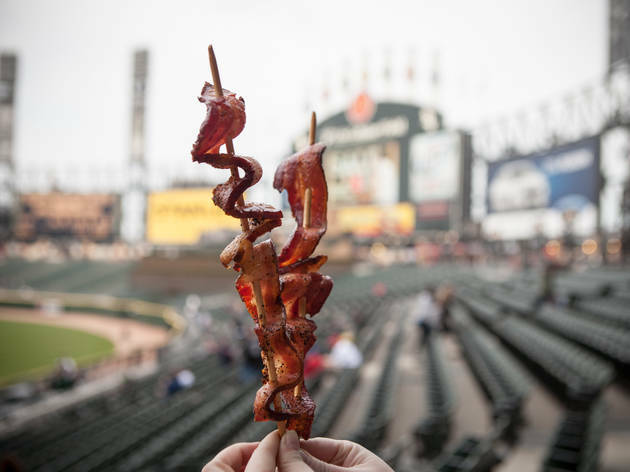 Does Chicago really need another bacon festival? If you're one of those people who just can't get enough pork, you'll want to head to Union Station to pig out on unlimited samples of every conceivable variety of America's favorite breakfast, lunch and dinner meat. Attendees will be able to learn about bacon recipies, test their bacon knowledge and help the city put the bacon craze to bed (until next year).